If you plan on giving a child an iPhone, iPod touch, or iPad as a gift, or even for them just to use for a little while, you may want to disable in-app purchases (IAP). This prevents accidental and unintentional purchases, and it can avoid receiving a shocking iTunes account bill down the road when a young one inadvertently taps a bunch of the IAP’s that are becoming more and more common in apps these days. 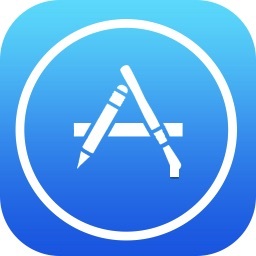 This is how to turn off in-app purchases on all iOS hardware and for all versions of iOS. In-App purchases are now disabled, which will prevent someone from racking up a huge iTunes bill when using your iPhone, iPod touch, or iPad. I would recommend disabling the app purchases in addition to setting an iTunes allowance for kids, the combination of the two is a strong way to control an iTunes bill. Large in-app purchase bills are not particularly uncommon, and the Apple Discussion Boards have some horror stories of young children inadvertently charging up large bills – in thats case, $1500, yikes! But even smaller in-app purchases can add up or be an unexpected surprise, so if you are concerned about this you will find adjusting the setting to turn off in-app purchases is an easy resolution. Don’t let this type of unexpected spending happen, set some limitations! Many popular games rely on in-app purchases to drive some features and bonuses, and even free games like Fortnite have many purchases which you might want to stop or avoid. If all else fails, you can also try to get an iPhone app refund from Apple. They’re usually pretty forgiving with obvious cases of error, but no guarantee. Looked in my settings and found it “on”. Do you have to re-disable it after every OS update?